This feature is available on Artica v2.15.071321 or above. 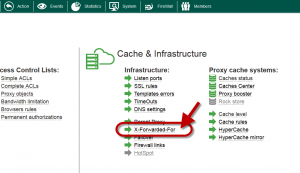 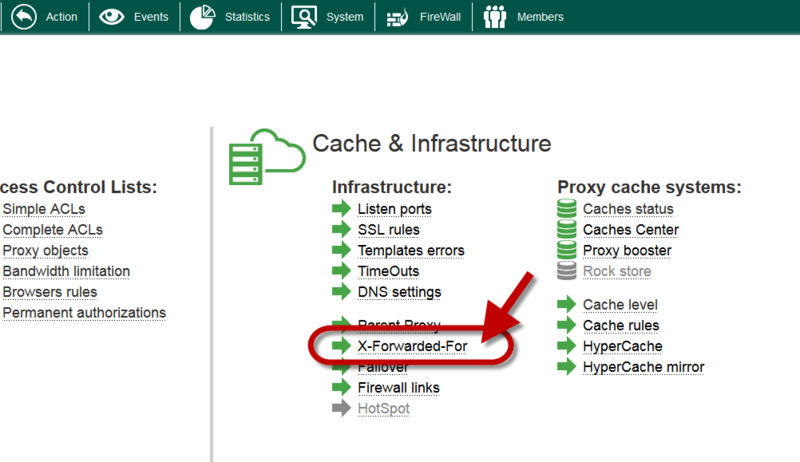 If you using a Load-balancer ( eg HaProxy) or you need to connect your own proxy to Artica-Proxy server you may use this feature in order to force Artica Proxy to checks the x-Forwarded-For HTTP header. 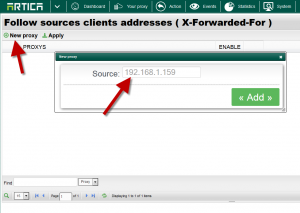 The x-Forwarded-For HTTP header allows a proxy server to add the source IP client in the HTTP header. 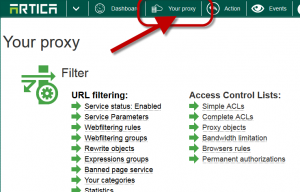 In this case, the parent proxy is able to retrieve this information in order to log it or to activate ACLs based on source IP addresses. 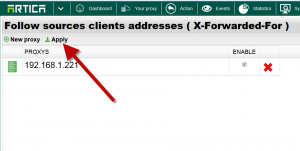 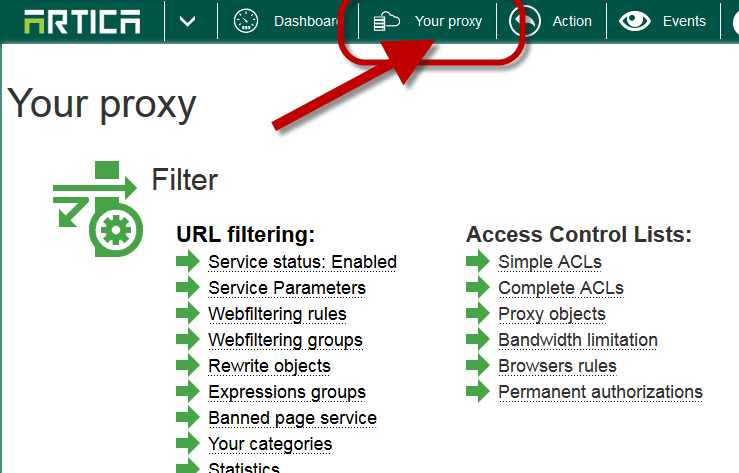 Click on New Proxy in order to add the Ip address of your Load-balancer or Child proxy. 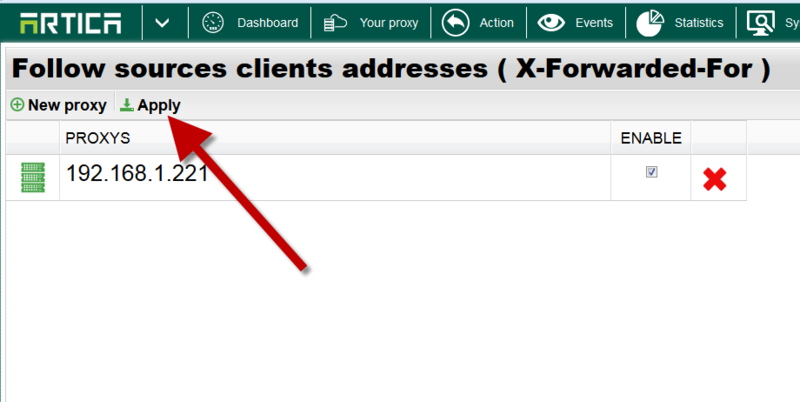 Click on “Apply” in order to compile rules and make changes into production mode.